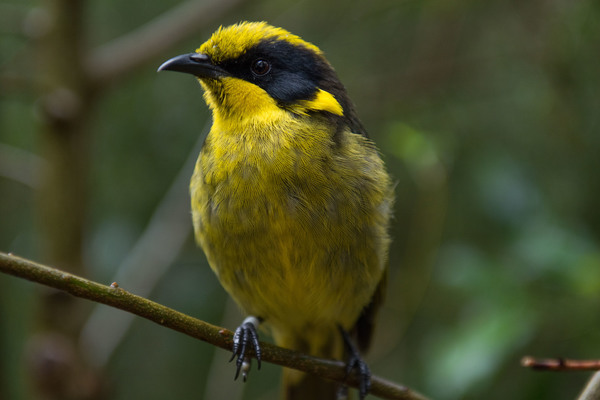 A Helmeted Honeyeater at Healesville Sanctuary. School students shared how they were fighting wildlife extinction at a Healesville Sanctuary showcase. The kids from six local schools met at the sanctuary on Friday 9 November to highlight how they were helping Zoos Victoria through Fighting Extinction Schools, which connects curriculum to real-life learning. As part of the program, students from Fighting Extinction Schools investigated real-life wildlife conservation issues and contributed to actions that protected animals in the wild. Students from St Brigid’s Primary School got to know the Victorian State Emblem, the helmeted honeyeater, by developing a story book, a quiz and a video. The teens at Healesville High School created their own bubble mix, making it easy for their families to use bubbles instead of balloons, in line with Zoos Victoria’s community conservation campaign When Balloons Fly, Seabirds Die. Kids from Gruyere Primary School, with learning experiences manager Miranda Wills, made clay models of Zoos Victoria’s Fighting Extinction 21 Species, which tied into the Love Your Locals community conservation campaign. The kids also drew each of the 21 animals and adapted their drawings into postcards and a storybook. They had arranged all the animals around the edge of the postcard, around the Love Your Locals text. When they came back from the printers, students realised that the animals formed a love heart around the conservation message.